What value can you add to Earth Day? I’m sure i’ve said this before (which is easy to do when you write so many articles). I truly appreciate what I learn from my clients. I truly appreciate how you challenge me with some amazing questions. Especially when it forces me to step out of the box and pushes me to do continued research. I also believe things happen for a reason. Be it being in a certain place at the right time, (or not). Or, be it having a conversation with someone who triggers a thought or an idea. Only to discover the timing of where you were (or not) or who you spoke with and about…..just happened to be the perfect timing. This happened to me last week in a conversation I had with the Nail Academy and my associate Chemist at Micrylium. In assisting the Academy with questions regarding our BioSurf product, they addressed a couple of things of great importance which i’ve never really stressed upon. Earth Day is the day designated for fostering appreciation of the earth’s environment and awareness of the issues that threaten it. The passage of the Clean Air Act, the Clean Water Act, and the Endangered Species Act are considered to be products associated with Earth Day. Earth Day and chemistry go hand-in-hand, since so many of the issues that threaten the environment have a chemical basis. I thought this would be a perfect time to introduce you to the “Earthy” benefits of our Micrylium disinfection products. Because ethanol is a very pure form of alcohol, it is regulated by the U.S. Food and Drug Administration (FDA) and the Bureau of Alcohol, Tobacco and Firearms. 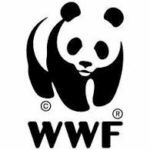 The inspiration for the WWF logo came from Chi-Chi: a giant panda that was living at the London Zoo in 1961, the same year WWF was created. WWF’s founders were aware of the need for a strong, recognizable symbol that would overcome all language barriers. The world’s leading conservation organization, WWF works in 100 countries and is supported by more than one million members in the United States and close to five million globally. WWF’s unique way of working combines global reach with a foundation in science, involves action at every level from local to global, and ensures the delivery of innovative solutions that meet the needs of both people and nature. This is all great and good, but the real concern is “does it work”….how “fast does it work” and is “it cost effective”? Micrylium BioSurf, surface and implement disinfection has a 50 second rated contact time. It contains surfactants which allow the BioSurf to clean and disinfect at the same time. The important of this needs to be realized. Bacteria and fungi multiply in place. However, they are very happy with staying in one spot. It is all of us who move it from place to place by wiping when we clean and THEN we disinfect. Which, by the way, is the proper way to fully disinfectant. With our Biosurf (our 1-step solution), we eliminate the transfer of bacteria and fungi. It is my opinion, we should not put a price on Salon safety. However, i’m not ignorant to the idea of making sure we stay within our budgets. BioSurf is available in a 24 oz spray bottle as well as a 1.32 gallon (wine in a box) container. The breakdown cost as an implement soak is approx. $1.50 per oz. The BioSuf liquid is effective for up to 10 days. I usually recommend to replace your soak on a weekly basis. With the above scenario, we are talking about $7.50 per week or less than $30.00 per month. If 5 oz is what you use, a container of Micrylium would last you approx. 2+ months. Of course, if you use it as a surface cleaner as well, the time it last would be less. Biosurf is not to be mixed. It should not be diluted with water, as anytime you do this it reduces the eficacy of most products. As a surface cleaner you spray, wait 50 seconds and wipe. When used in your Pedicure bowl, you can eliminate a cleaner since we know BioSurf cleans and disinfects. In addition, there is to need to rinse immediately. You can rinse as you fill your tub for the next client. It will NOT affect your surface, nor endanger you or your client. As an implement cleaner, I typically recommend to fill your implement tray at the beginning of your work week. Make sure you pour enough to cover your implements. At the end of the week, you can dump it right down the drain. BioSurf is SAFE for the environment. Biosurf is an excellent way to clean and disinfect your removable pieces in your non-jetted pedicure tub. I recommend alternating sets (if you can) of any removable pieces in your tub. At the end of each service, remove the pieces and place in your implement tray. 50 seconds later they have been cleaned and disinfected. What many don’t realize (unless it’s required by your State) when you have pipeless pedicure bowls, you do not have to purchase a purging product. There are no pipes to purge, so it’s pointless. However, you do have to clean your removable parts between each client. There are many disinfection products in our market to choose from. I chose Micrylium to represent because of it’s kindness to our environment, because of it’s high level grade of disinfection, because of it’s ease to use, because of it’s effectiveness and because of the support and knowledge I receive from the Mfg. 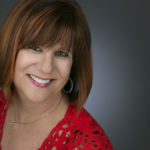 Visit our website; www.cjscentreforbeauty.com to learn about additional Micrylium products designed for you Salon/Spa.